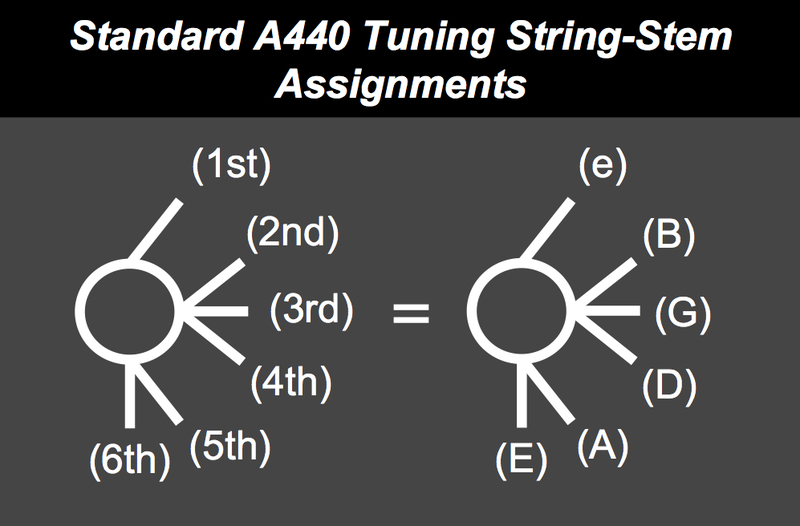 Up to 12 strings can be easily represented. 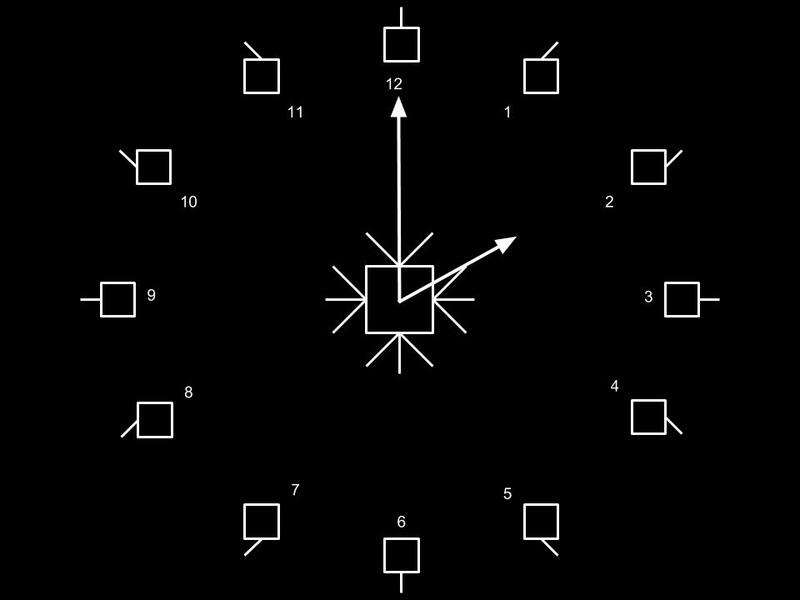 The layout follows a 12-hour clock pattern. Each string corresponds to the equivalent clock hand hour. One o’clock equals the first string. Two o’clock equals the second. Three o’clock the third. Four o’clock the fourth. Five o’clock the fifth. Six o’clock the sixth, and so on up to twelve strings.